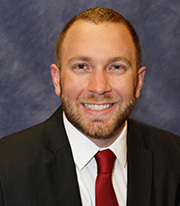 Andrew’s Story with the Firm: After earning his legal degree from Arizona State University’s College of Law (Class of 2013) and bachelor’s degree in Finance from the University of Texas at Austin (Class of 2009), Andrew earned admittance to practice law in Arizona. With a background in the financial markets and a passion for serving families, Andrew was naturally drawn to trusts and estates law. Then, after meeting David Harowitz through ASU’s Christian Legal Society, Andrew quickly jumped at the opportunity to join David’s team. And, since 2013, Andrew’s been practicing alongside David! Professional Involvement: Andrew is an Active Member in the following legal and/or faith-based professional organizations: WealthCounsel and ElderCounsel, Central Arizona Estate Planning Council and East Valley Estate Planning Council, Probate and Trust section – State Bar of Arizona, ElderLawAnswers.com, Kingdom Advisors, and Christian Legal Society. Community Involvement: Volunteer Committee Member of the Phoenix Rescue Mission and YoungLife (Metro Phoenix area). Favorite Local Charities: Phoenix Rescue Mission, YoungLife, and A New Leaf. Why Estate Planning? Devastation hit Andrew early in life as he watched his elderly grandmother battle illness for several years. At her passing, it became clear Andrew’s grandmother left behind many items and assets but no guidance as to who should receive them. Andrew’s grieving family was not prepared for the subsequent familial disputes over anything and everything — sentimental heirlooms, the reimbursement of medical expenses (which, for years, had been improperly “advanced” by family members), and even worthless items. Simply put, the relational damage within the family should have been easily avoided by the execution of even a simple estate plan. Through these unfortunate experiences, Andrew grew passionate about helping families find customized solutions for their unique situations. His favorite part of his practice is intently listening to his clients in deciphering their “legacy goals”, whether positioning the children to carry on a charitable strategy benefiting the local community or developing a thorough succession plan allowing a family business to thrive for generations to come.